How Do You Fix An iPhone X’s Screen? Apple’s iPhone X has an incredible looking screen. The problem is, some of the models had touch sensitivity issues and some are troubled with the ‘ghost touch’ bug. 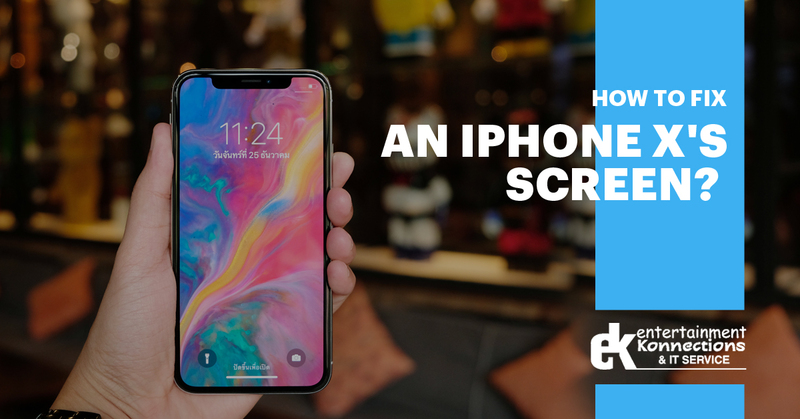 Whether you are looking to get your screen replaced or fix due to these issues or you are looking to get your screen replaced due to dropping it, there are different ways to go about it. Below, we will go over some of the options that you have available to choose from. One of the options that you have available to choose from would be professional repair from Apple itself. This is likely to be the most expensive method as they tend to charge the most. That being said, if you have the Apple Care add-on, you might be able to get your issue resolved cheaper because you are paying insurance for it. If you are looking to save money on your repair and get the same professional service, you could always opt for a third-party service like ours. We offer the highest quality repair services without forcing you to pay a significant amount of money in the process. We are able to do repairs at a much lower cost because we handle all of our repairs in-house and we do not overcharge for the parts. Therefore, you are more or less just paying for labour. You could potentially look to handle the repair on your own. If you are confident enough in your ability to repair your iPhone X screen, you can always try to repair it yourself. That being said, as it is such an expensive phone that contains the latest technology, you don’t want to mess this up. We absolutely pride ourselves on providing the highest quality service possible and rely on word of mouth and our excellent reputation to carry us through. Where Apple relies much more on its brand and quality of their products, we rely strictly on the fantastic service that we offer. Therefore, you can be confident you will get the best results. We know how much you an iPhone X costs. Therefore, we do everything we possibly can to ensure that you are able to get your phone repaired for a reasonable price. We strive to offer the most affordable pricing for iPhone X screen repairs. To put it simply, if you need to get your iPhone X’s screen repaired, without it costing you an arm and a leg, we are the best option for you. Unless you are someone that is experienced in iPhone screen repair on your own, you can count on us to return your iPhone X in perfect working order.